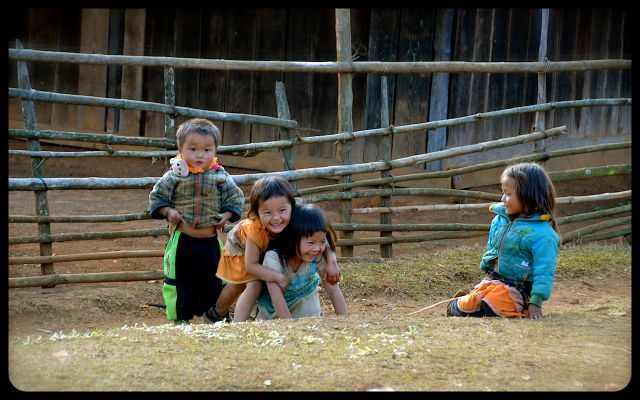 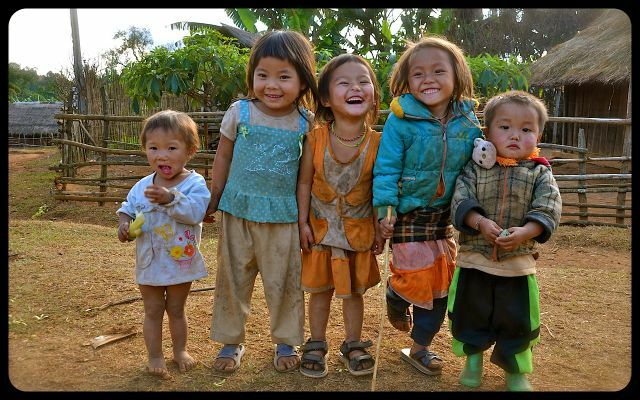 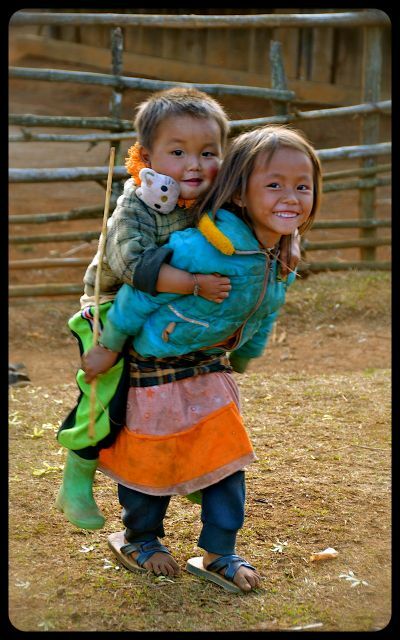 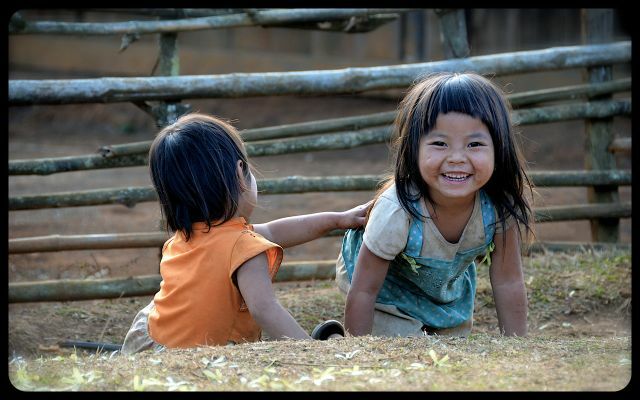 Laos is a land of beautiful smiles, sported by those big and small! 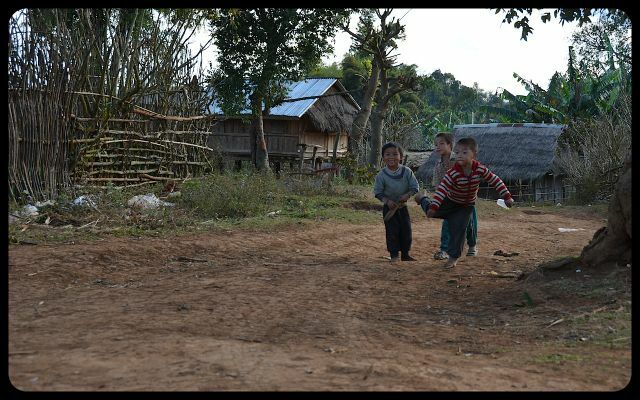 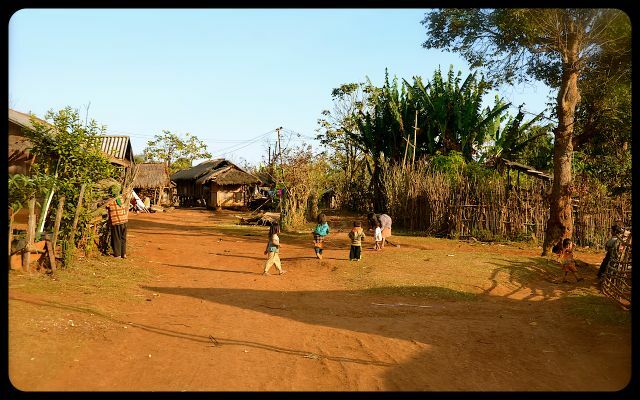 We encountered these little ones at play in their village, just before sunset. 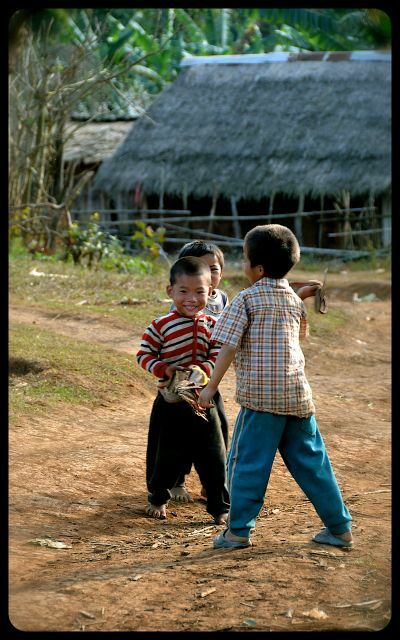 The boys played with slingshots; they also engaged in a bocce ball or pétanque-like game. 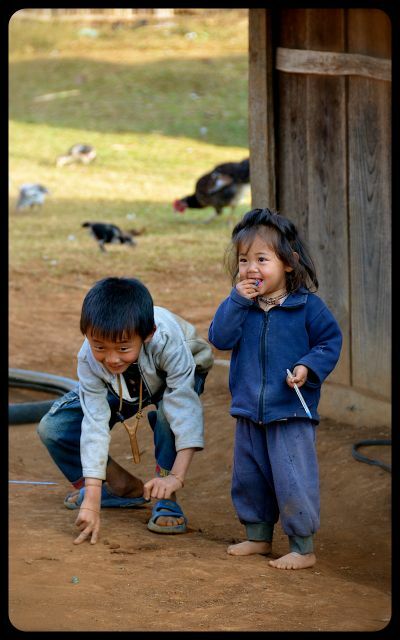 Instead of a silvery ball, the resourceful kids tossed flip flops. 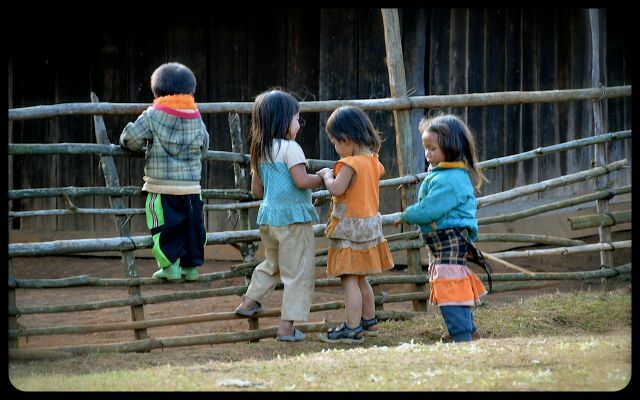 They were as curious about us as we were about their way of life.